Unpacking is brilliant. I love the packaging, it's entirely card and paper string and can be recycled in the paper bin. 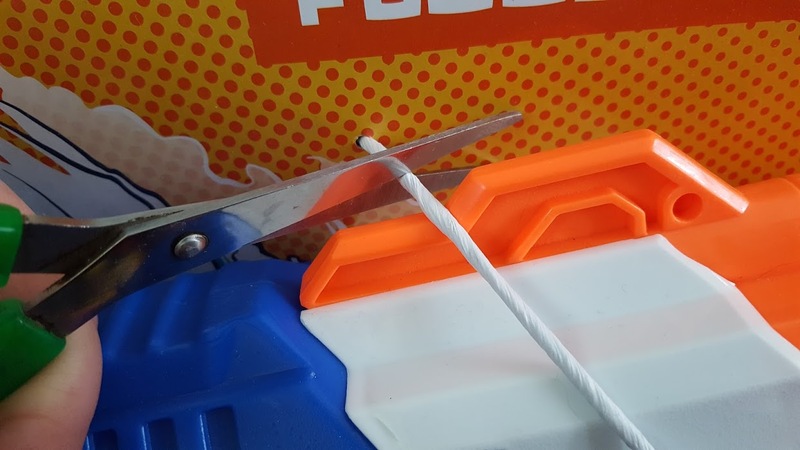 It took seconds to cut the strings and release the blaster. 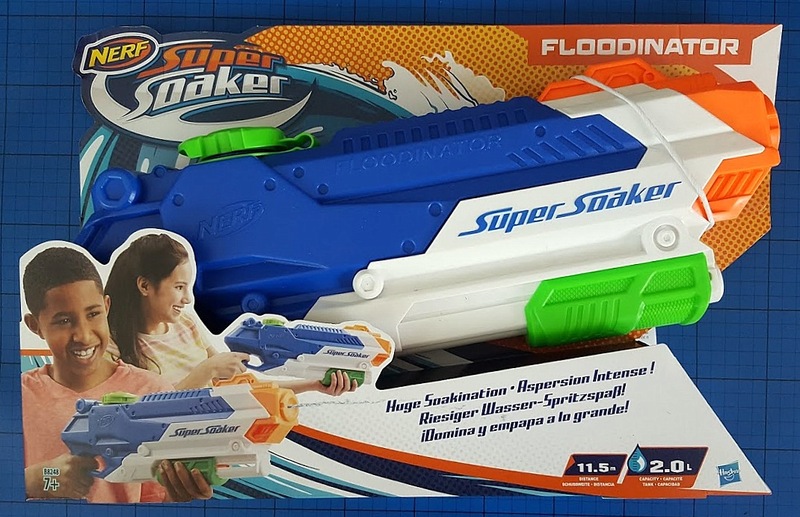 I was stunned at just how light the Floodinator is. Compared to dart blasters and powered Nerf I'd expect it to be light, but it's very impressive indeed. Filling the 2 litre tank does ofviously change that, giving you a load that is just manageable for my 7 year old. 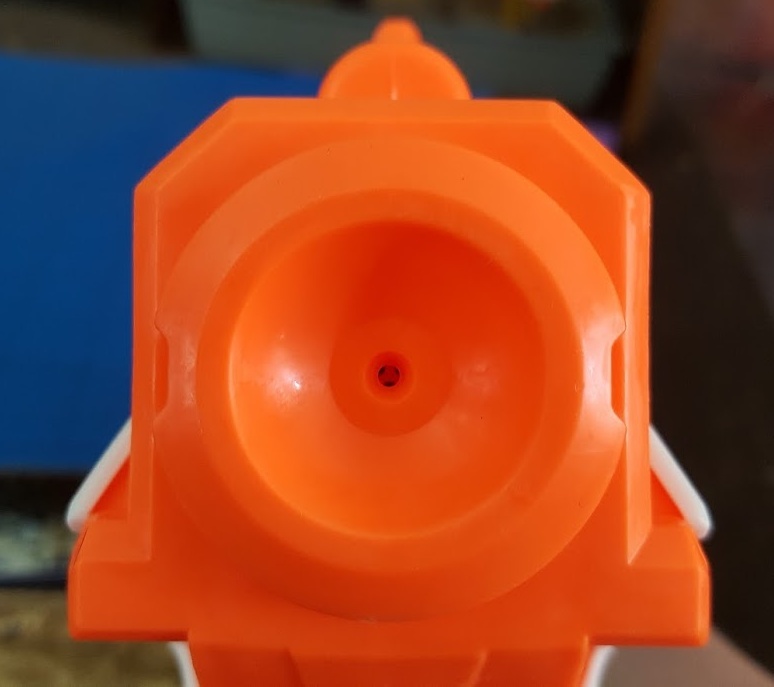 There's a single nozzle on the barrel which has pretty good straight aim - I've found it astoundingly easy to hit my targets (much to their annoyance). 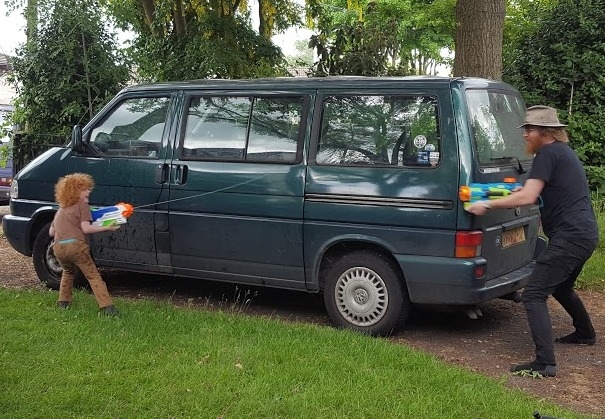 Excellent control for something that fires water. 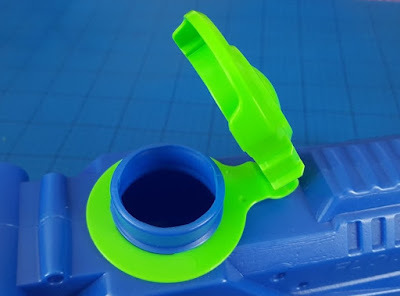 Refilling is via a wide hole in the top of the tank, so you can put it under that tap, or insert a hose and refill very quickly. The cap is push fit - nice and tight, but easy to grip to open, so my 7 year old has no problems doing it alone. 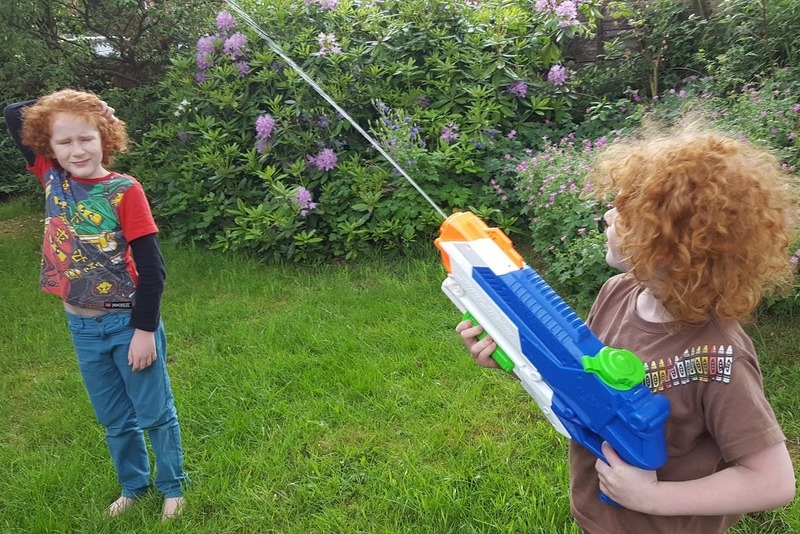 This Super Soaker has a simple but very effective pump action. It's easy to use and again, my 7 year old finds it no problem and got the hang of it instantly. The age rating of 6+ is right - size and strength are no real advantage, you can have a very fair battle. 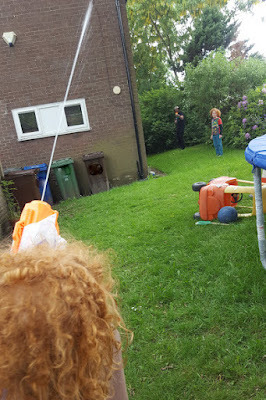 Under 6's may not be able careful enough or have the control to avoid shooting someone else in the face or otherwise damaging something they shouldn't. Overall a great water blaster with plenty of fire power and a really good range which is pretty accurate over around 20ft. 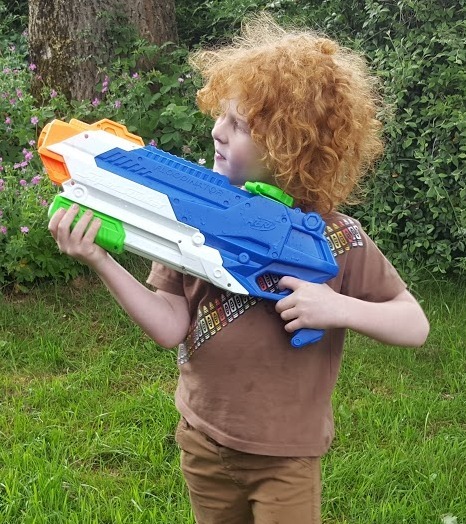 The huge tank means you can outlast just about anyone, but the lightweight design and easy manual action make it ideal, even for a small ginger-haired 7 year old boy. 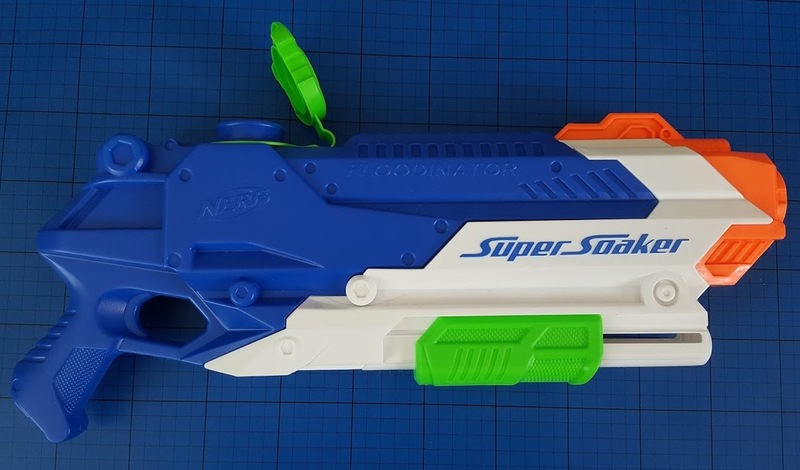 The Nerf Super Soaker Floodinator Water Blaster is suitable for children (and grown ups) aged around 6+ and has an rrp of £19.99. 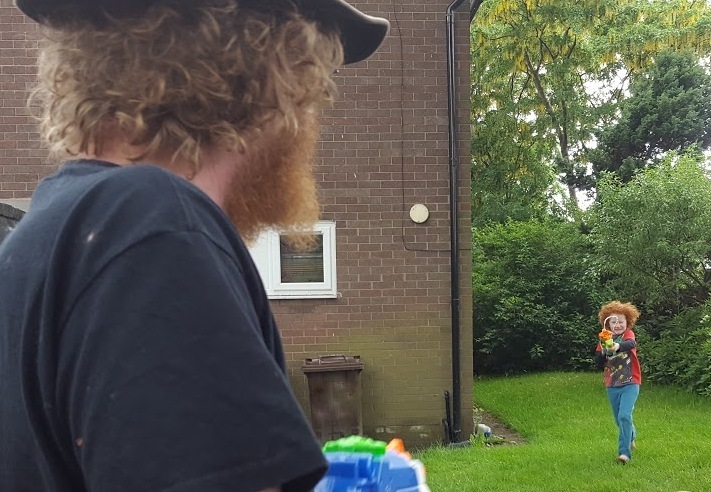 For a manual powered blaster with a huge tank and plenty of power, I think you probably can't be more impressed for your money. Available now from all good toy shops in store and online, including Smyths. 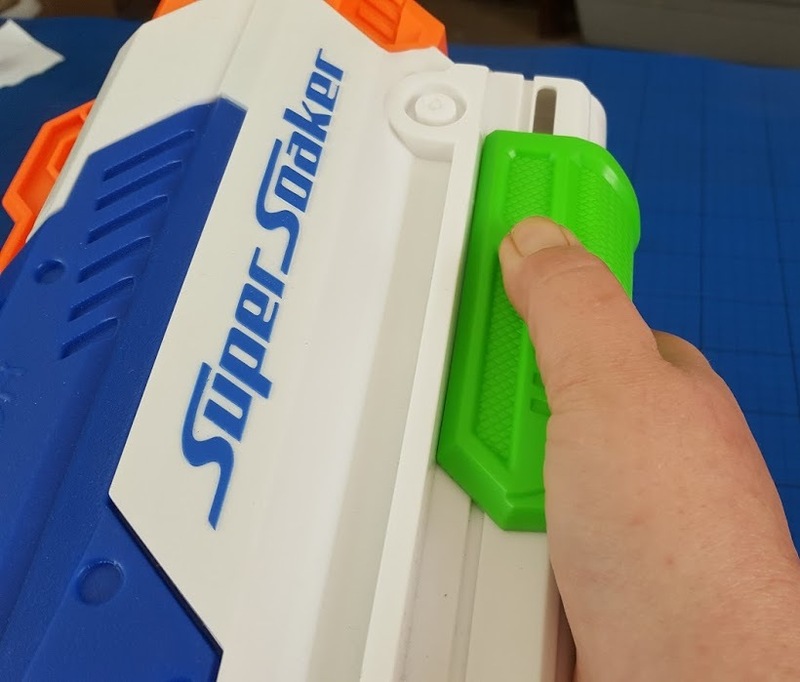 We were sent our Nerf Super Soaker Floodinator Water Blaster for review.